Music education is the field of teaching and learning in music. Students with a love and passion for music and bringing the skills involved with music making to others will thrive in music education. Music education majors require a high level of personal organization and commitment to personal practice. The development of keyboard, aural and ensemble skills are essential. Future educators also have a passion for teaching musical skills to others. 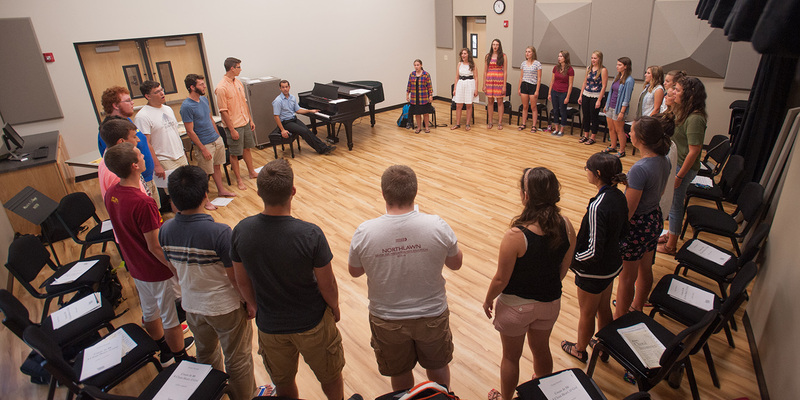 Music education majors prepare to teach music in a school setting or as a private teacher. 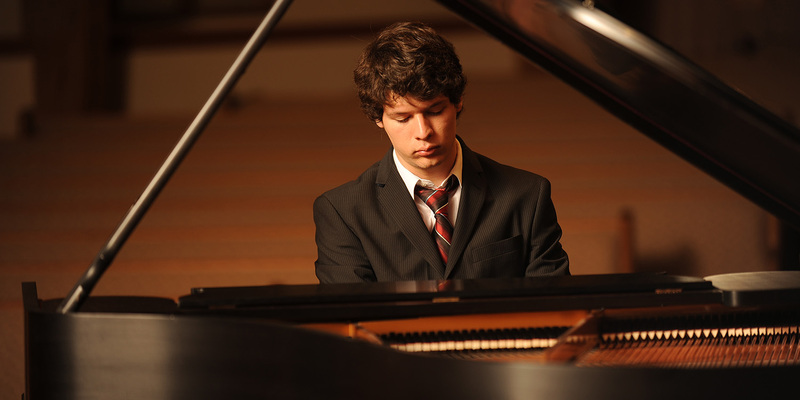 Students usually pick a major area of focus, such as elementary music education, secondary choral music education or secondary instrumental music education, and prepare for state certification in those areas upon transfer to a four-year institution. Join a music ensemble: Bel Canto Singers, Men’s Chorus, Women’s Chorus, Chamber Orchestra, Pep Band and tour each year. Enroll in private music lessons in any instrument or voice. Perform in regular department recitals and master classes. Travel abroad with the International Chorale every other year. Develop proficiencies in keyboard and guitar and complete an exit portfolio, including a sophomore recital, in preparation for the next step. Complete a field experience practicum in a public school music classroom as a freshman or sophomore. Participate in musical theatre productions each year. Use and learn in the newly renovated performing arts building that provides outstanding rehearsal and performance spaces. Students of music performance perfect their skills as musicians. Lessons, classes and recitals help students develop a personal style and prepare them for performing careers as soloists, ensemble members and accompanists. Majoring in music provides students with a sense of aesthetics and an understanding of human expression valuable to many employers. Confidence, personality, a positive attitude and a love of music are important to success in many arenas of music. Music performance majors require a high level of personal organization and a commitment to personal practice. The development of keyboard, aural and ensemble skills are also essential. Hesston music students experience the two-year advantage, receiving the same high quality of instruction as the best four-year colleges and universities and all the premiere performance and leadership opportunities during the freshman and sophomore years. 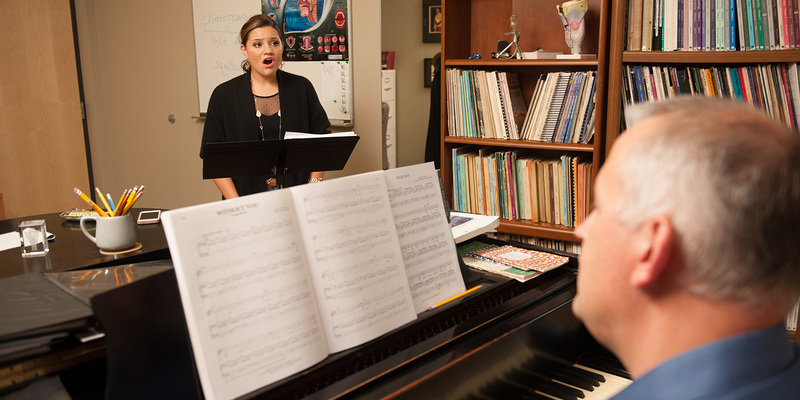 Drawing on a century of rich tradition, the Hesston College Music Department nurtures musical growth, encourages creativity and provides a solid musical foundation for students pursuing a passion for music. The department provides many opportunities for performance, musical growth and leadership. Students with a love and passion for serving others at a personal level through music will thrive in music therapy. Cross-disciplinary interests are also very helpful. Coursework focuses on developing skills in music, biology, psychology and social sciences to prepare music therapists to assist clients in clinical settings. Hesston music students experience the two-year advantage, receiving the same high quality of instruction as the best four-year colleges and universities and all the premiere performance and leadership opportunities in the freshman and sophomore years. Hesston students completing the two-year pre-music therapy curriculum will be prepared to transfer to a four-year institution where they will complete junior and senior-level course work and a clinical internship to complete become a Board Certified Music Therapist. Complete the pre-requisite courses in psychology and biology necessary for a music therapy major.